Speakers at the MGA TMA Industry Lunch discussed how greater knowledge can help business, individuals, and the whole sector. 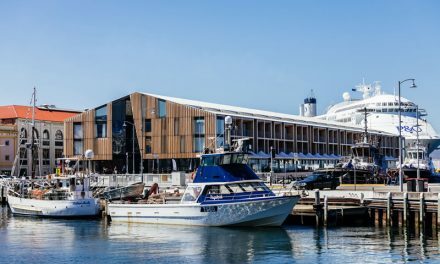 On a recent Wednesday afternoon, you would have been hard-pressed speaking with any of the major figures in Victorian timber merchanting – they were all at the MGA TMA Industry Lunch (along with a number of their interstate counterparts). Held in the beautiful Kooyong Lawn Tennis Club, the delicious lunch was more than a chance for like-minded association members to catch up: the speakers covered some hard-hitting topics that resonated with the entire audience. After a warm welcome from MGA TMA membership manager Ann Sanfey, who was key in organising the event, Peter Alexander of Peuker & Alexander took to the rostrum in his role as president of the MGA TMA Management Committee. He discussed the year that has passed since the TMA amalgamated with the MGA as one of improvements in many areas, including training, legal and a bigger technical advisory service. The shared culture of believing in a broad offer between the two groups has made the amalgamation easier, as have the shared issues. In joining, the two organisations have increased their lobbying and networking power. 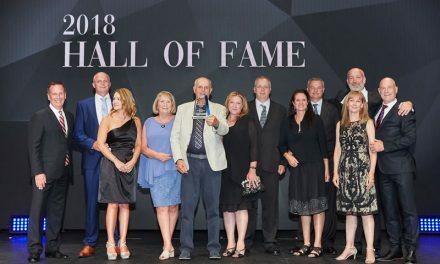 Alexander spoke with enthusiasm about the association’s successes in promoting member engagement and the exceptional educational resources available through the relationship with Forest & Wood Products Australia (FWPA). But he also saw room for improvement. “There’s not been a collegiate approach in the timber industry in the past and we think we can do more, especially at a time when steel is encroaching on our industry and we’ve had some supply issues,” Alexander said. He mentioned the success that Jos de Bruin, CEO of the MGA TMA, has had negotiating with Canberra and talked about areas such as energy costs and tax cuts that are industry-wide issues before noting that the membership was continuing to grow and they were looking for corporate sponsors. Alexander wrapped up his talk with an announcement of the new MGA TMA safety management system, which is industry specific and includes issues including traffic management, wood dust, manual handling and much more. Members are able to tap into the system’s modules for free on the website – living up to the association’s ‘Making Life Easier’ slogan. Dr Craig Latham, Deputy, Australian Small Business & Enterprise Ombudsman, was the next speaker. He opened with a quick overview of the importance of small business to the Australian economy before turning to his focus: what the Australian Small Business and Family Enterprise Ombusdman (ASBFEO) team can do for people in the industry. The first role covered was their ability to help with disputes. The office is an independent advocate that has the ability to demand information from or for people in order to assist the business. They welcome phone calls from small business operators. “We can get you to someone who is going to be able to help you – ideally to avoid litigation and reach a resolution,” Latham said. He noted that mediation has a success rate of around 80 per cent and directed listeners to the dispute tool on the ASBFEO website that can help you find resources. The other major role was advocacy. Latham spoke with vigour about the research, submissions and media engagement the office had been conducting on the part of small businesses and highlighted some of the biggest problems facing traders at the moment. He also listed several other major issues affecting the office’s clients, such as big businesses pushing out payment times, the difficulty of bidding for government procurements, the difficulties of accessing justice, the NBN and energy costs. Latham was happy to list a few successes: the Commonwealth Government has promised to pay invoices up to $1 million within 20 days from 2019. Some small business to small business payments have improved, though there is still room to go and regulation may be required to ensure larger businesses pay in a timely way. The Australian Financial Complaints Authority is being set up, which will cover amounts up to $5 million. And even banking has improved, though there is still work to be done, especially removing “non-monetary default classes” so that changes in bank policy can’t cost you the business or the farm. And there are big, systemic issues that are currently hurting small businesses. Illegal phoenixing costs Australians $2.5 billion a year, but is currently not a separate offence, despite the devastating effect it has on small businesses that are defrauded. Similarly, the new Unfair Contract Term legislation from 2015 is good in and of itself, but requires you take the offending company to court, which is a significant time and dollar cost. This is currently under review and ASBFEO is arguing strongly for better protections that are easier to access. Cyber security is becoming more and more vital as frauds grow more sophisticated. Check out the resources available at www.asbfeo.gov.au and www.business.gov.au to help you formulate a plan. Energy audits can be hugely helpful for businesses, with small actions leading to great savings. When dark times come, pay for good advice. The above websites can help you find the right people. Shane Garrett, chief economist at Master Builders Australia, used his time to provide an overview of economic factors impacting the industry. While overall economic growth and employment have picked up, there are regional differences and some indicators are stronger than others. On the positive side, the weaker Australian dollar and low, stable interest rates make Australia a cheaper and more competitive option for an international audience, helping everything from building product exports to key markets including tourism and international education, which are massive earners in Victoria and NSW in particular. Jobs are being created, though full-time positions are still lagging and regional and rural areas are still losing residents to cities. However, Melbourne has seen an influx of job seekers from the regions and other states, which is driving residential building. Interstate and international migration are both pushing housing growth in major cities. Private investment has rebounded in the housing sector and new home building has reached its highest levels in recent years. Against this is a raft of cautionary data. Residential prices are a mixed bag, down 6% in Sydney (and continuing to move lower) and 3% in Melbourne. Brisbane, Adelaide, Hobart and Canberra have seen increases, but Hobart was the only one with significant year-on-year growth. Apartment building is riskier when house prices are declining, with a lot of new builds coming onto the market – at the same time rental inflation is at its lowest level in the past 25 years. At the moment, with interest rates low, this is not causing significant problems in the sector, but Garrett flagged that any significant shift, including a rise in unemployment or interest rates, a drop in immigration or continued weak wage figures, could cause future problems. 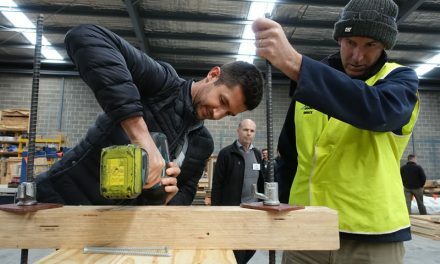 He flagged the Victorian housing market to peak around 2020-21 at 40,000 builds/year, with apartments drifting back sooner to around 27,000 by 2021. Nationwide figures would follow the same pattern. In terms of industry risks, he was concerned about the supply of timber. “There’s not enough around, so the price is going up, which ultimately adds to the final ticket price of a new dwelling. 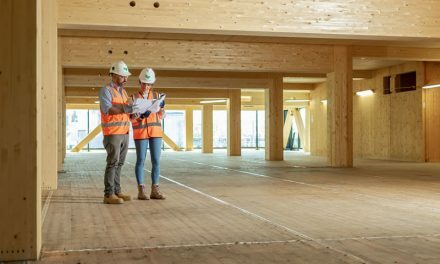 Timber supply needs to be able to accommodate unanticipated home building peaks and policy should be more focused on ensuring that this happens,” Garrett said. Jim Houghton, statistics and economics manager at FWPA took up where Garrett left off, noting that timber demand was going through the roof, but the supply side is more problematic. Houghton gave a brief overview of the FWPA, which is funded by an industry tax collected by the Commonwealth Government and matched dollar for dollar for research and extension activities. FWPA is an industry services company, though it was historically a statutory corporation. It provides data, research and education to the industry, and Houghton’s job is to help the industry with strategy and planning. He admits that this is a challenging role at the moment. Softwood sawlog harvesting has increased by 46%, but native hardwood production has decreased by the same amount over the period 2000-01 to 2016-17. The hardwood plantation estate has grown considerably during this period, and is predominantly used for chip production with a small volume of logs going to China for plywood. Houghton explained that the FWPA data aggregation program was established to provide more timely and detailed data complementing the information generated from the federal government through ABARES which can be six to 12 months behind when published. Sawntimber consumption has increased by 18% across the same period and local softwood production is pretty much operating at capacity right now, with very little room left to grow in a marketplace that continues to have strong demand. 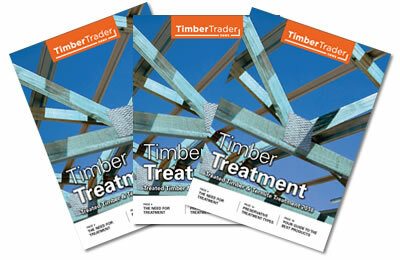 Treated structural timber has become more dominant and has surpassed untreated structural timber for the first time. These two products account for nearly 50% of the annual Australian forest products output. 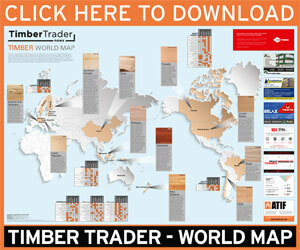 Houghton then drilled down into some of the economics behind current timber shortages. Imports have historically been an important balancing point. They peaked during the GFC – Australia was a good paying market with attractive prices, which led to a very difficult 2011 for local producers. In recent times, North American markets have been paying more and our traditional import partners in Northern Europe, are active there. In 2015 there was an unexplained decline in price – “It was illogical from an economic perspective,” says Houghton, “and caused a major problem.” With the price dropping off, import volumes immediately followed. This has since somewhat corrected – imports volumes are now at record levels and prices are comparatively high, which, combined with an easing in North American prices – has made Australia attractive again. However, at international import prices, timber’s cost advantage over steel framing is diluted, and HIA survey data suggests that over the same years, steel penetration has increased. 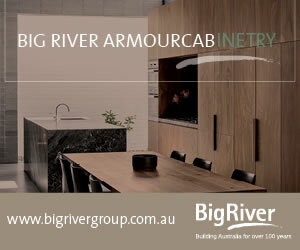 Our sawmilling capacity is at its limit and demand is greater than our capacity to produce. 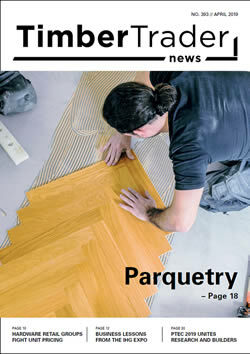 The resource outlook is static, with essentially nothing added to the national softwood estate since 1996. A bleak sawlog output forecast sees a 3.4 million m3 pa shortfall by 2050. The government has invested $20 million into the Billion Trees Program (www. agriculture.gov.au/forestry/publications/growing-better-australia). However, Houghton contrasted this against a $4 billion investment in the agricultural white paper. The plan will see a number of pilot programs including facilitating forestry on farms. This will be a continuation of earlier policy work to ensure the right trees in the right place on the right scale, as too many earlier attempts were uneconomical to harvest. Questions focused on the problems with log exports – which a number of attendees described as excessive. Houghton was even-handed as he explained that many of the logs going to China can’t be put into domestic sawmills most years due to the specification of the logs. There is also a challenge with some sawlogs being exported from areas where there is currently no local processing capability. So rather than a threat this represents opportunities for investment. Overall, we need to support policies which will expand the softwood plantation estate and encourage further processing investment. Two courses, three guest speakers, and many important points to ponder as the industry plans for 2019 and beyond. 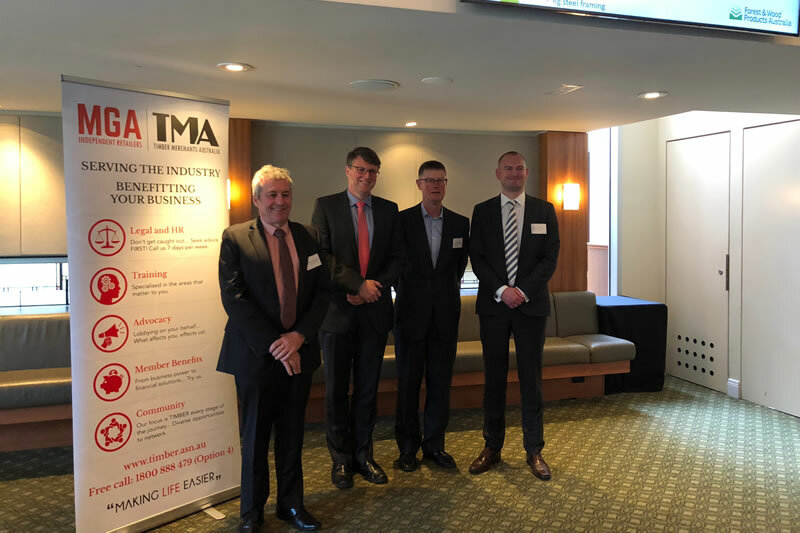 Image: Speakers at the MGA TMA Industry Lunch, from left, Peter Alexander, president of the MGA TMA Management Committee; Dr Craig Latham, deputy, Australian Small Business & Enterprise Ombudsman; Jim Houghton, statistics and economics manager at FWPA; and Shane Garrett, chief economist at Master Builders Australia.